Computer shipping boxes to protect your workstation. Large cardboard desktop Computer Box will hold all the contents of your entire desktop system in one box, manufactured from high grade double wall cardboard to give your workstation the valuable protection needed throughout removals and storage. Use bubble wrap to surround monitors and peripherals prior to packing into the computer box. Computer storage boxes have a pre-printed room indicator and contents grid which allows you to indicate the storage box contents, destination at your new home or office and your name and box number if the computer box is to be used for storage which allows accurate distribution and organised un-packing. 5. Do not interlock the flaps, as this will weaken the computer packing box. Computer packing and storage boxes are modular so that they stack easily together in removal vehicles, self storage units, lofts and garages, just like using buliding blocks. 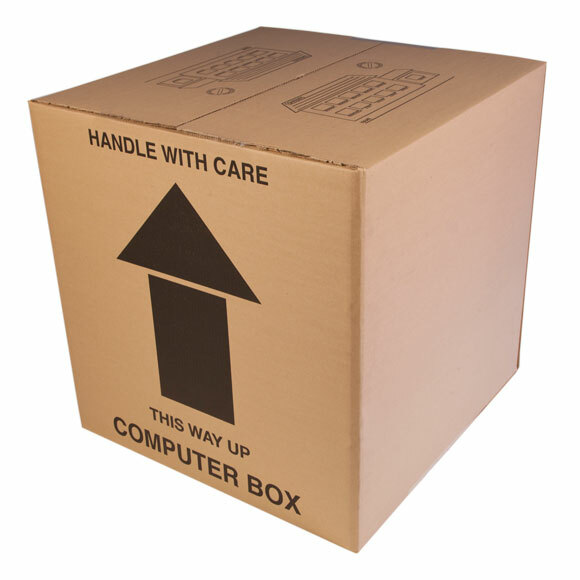 The quality cardboard construction of each computer packing box gives it an integral wall strength for stacking and so prevents crush and impact damage to the computer box and its contents. 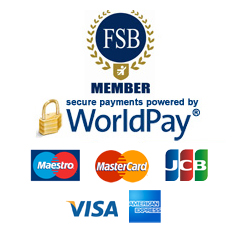 Boxshop UK computer boxes are manufactured from 150 grade Test/Test extra strong double wall corrugated cardboard and will not crush under normal use and downward pressure. The computer packing box is designed to contain large desktop computer systems during home and office relocations and has been designed to protect against downward pressure to the computer packing box and its contents.